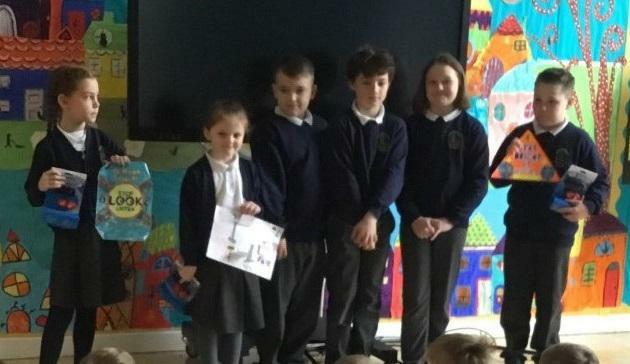 During a whole school assembly, our Junior Road Safety Officers thanked all the pupils for their entries. 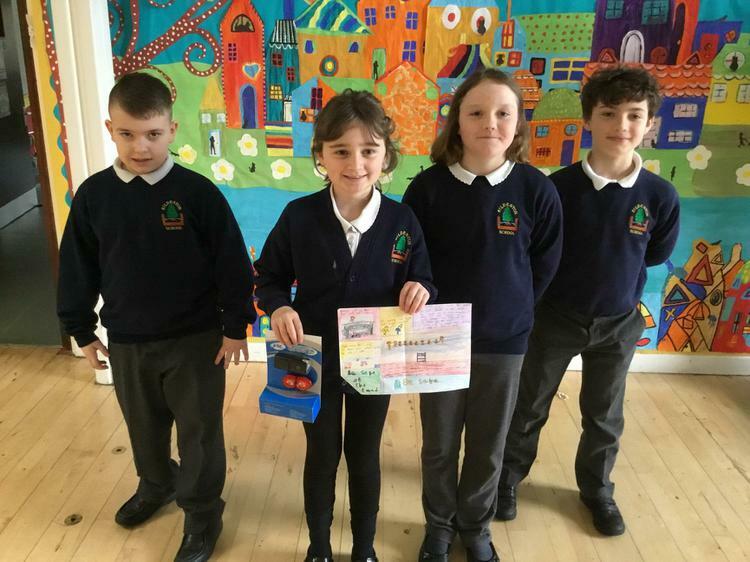 “The entries were of a high standard and it was very hard to choose just one winner from each class” said William. 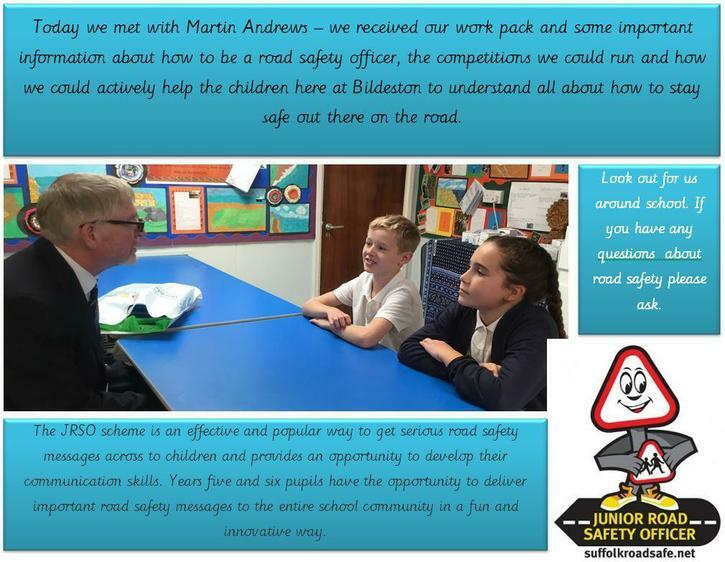 The winners were then presented with their prizes and their posters were displayed on the Junior Road Safety Officers notice board.